Biak is a small island located in Cenderawasih Bay near the northern coast of Papua, an Indonesian province, and is just northwest of New Guinea. 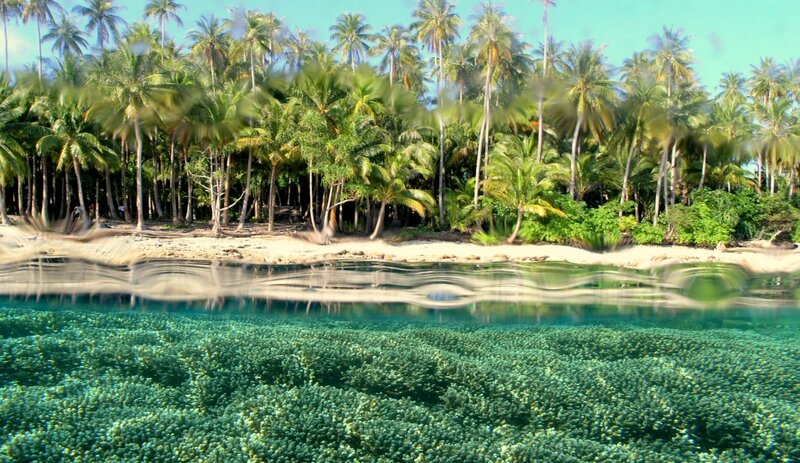 Biak is the largest island in its small archipelago, and has many atolls, reefs, and corals. The largest population centre is at Kota Biak (Biak City) on the south coast. The rest of the island is thinly populated with small villages. Biak is Indonesia’s Eastern gateway. During World War II, it was one of the home bases of the Allied Forces when attacking the Japanese troops. The Japanese too, used it as a defense base before finally withdrawing. There were thousands of Japanese warriors killed in the island during the war, most of them are bombed and burnt in the cave so-called Japanese Cave. This cave is not far from town and may easily be reached by car. Beside remains of World War, Biak now offers the most spectacular sea gardens in the world. The seas around it are dotted by small islands that own very beautiful varied fish and corals. Diving spots are spreaded around Padaido island, a group of small islands that is accessible from Biak by motorized boat or canoe. Farther out are Rani and neighborhood islands with more beautiful sea worlds. In the near future, Biak will own a 260-room hotel equipped with marine tourism and 18-hole golf course. Compared with other destinations in Irian Jaya, it is the easiest place to reach as daily flights are scheduled to fly to it almost from any parts in Indonesia, especially from Denpasar, Jakarta, and Surabaya. By a twenty-minute flight south ward, there is stood another island called Yapen. It is a home to typical birds of paradise, parrots, cockatoos, and many others. On the other side, you are also challenged to explore its natural land with specific sceneries. There are several flights a week either from Jayapura or Biak to Nabire, the district capital. To explore the birds community, not all places can be reached by car. Among the nine regencies in Papua, Biak Numfor is the only one that consists of islands. Geographically, it is located between 134° 47- 136° east longitude and 0° 55-30° south langitude. It owns 3 big islands; Biak, Supiori, and Numfor.